Maybe you know this already, because you were sent an unsolicited ad for Viagra. We know it was "unsolicited" because no Delta Pi brothers could ever have E.D., being all manly men and such. Or maybe you know this, because you tried to visit the website, and got an error message. Maybe you are just learning about the problem now, by reading this post. Regardless of how you learned, the reality is: our website was compromised. As you can see, usage was not trending positively, even in a year that contained our big 50th Anniversary Celebrations, that should have spiked usage. Was the current website serving our interests? 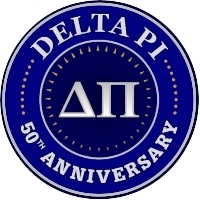 To some extent, the answer to this question was "yes", the website had served as an internet presence since 2011 that allowed us to communicate the business of Delta Pi to the the outside world. We could post pictures there, and history and upcoming events. And when we first put the website together, these were our goals. 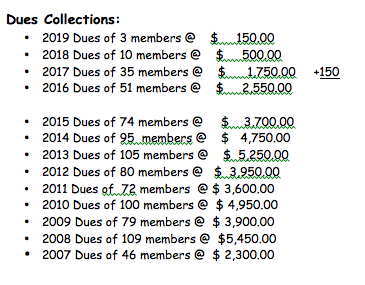 Brothers could learn what was going on and even pay your dues there, using PayPal. So for the basics, it covered our needs. We could not sell products there. We could not be very interactive there. We could not be secure there. The website was not intuitive for brothers charged with maintenance and updates. How do we keep from being "hacked" again? This is a good question because our website was made on WordPress and hosted on GoDaddy. It was built by two Delta Pi brothers (Iceman and JP). They did a fine job, and satisfied our needs and desires. Unfortunately, Wordpress is open source and as such, needs constant updates. Delta Pi has been inconsistent in finding a person to perform those routine updates. As a result, the hack occurred. Not to say that the hack wouldn't have occurred with updates...it's just that our lack of vigilance made it especially easy. So the short answer is: as long as we have the Wordpress website, we will need to be very aware of the possibility of hacks. Was the current website sustainable? We had an open source page, and no one to manage the updates. The old site was built years ago, and times have changed. We now have needs that aren't being met, and we live in a time of social media and interconnection. Despite our Alumni Board having an office specifically for electronic communications: it has been some time since we have had a person in that position who was knowledgeable about websites, and savvy enough to feel comfortable using Wordpress to update our website. This is why updates were sporadic and limited in nature. This has been a problem for some time now. The Board wanted to address this problem before moving forward. Do we need a website at all? The Board determined that we did, as many of our needs are not met by social media alone. So at the end of the day, we decided these factors (and a few others) all pointed us in a new direction. The Board decided that Delta Pi needs to stay abreast of the latest and greatest things. One of the traditions of Delta Pi is finding ways to lead and innovate. That was true from the first days of being one of the first chartered Social Fraternities on campus. It continued with a novel approach for raising money to buy the Crag Mansion. It was true when our Alumni Association formed years ago, completed many worthy initiatives and is now the model for most other Greek Alumni Associations on the Bloomsburg Campus. And it continues today. Delta Pi doesn't rest on it's laurels and let life pass it by. Staff of folks who perform the back-end updates and ensure against hacks. Greater social media interaction, a more user friendly format and levels of access based on brother status in the Alumni Organization. Much more professional look, and operation, at nearly the same yearly cost. Please take some time to click around the website. We think you will like what you see. Hot tub time machine weekend - Bloom style!